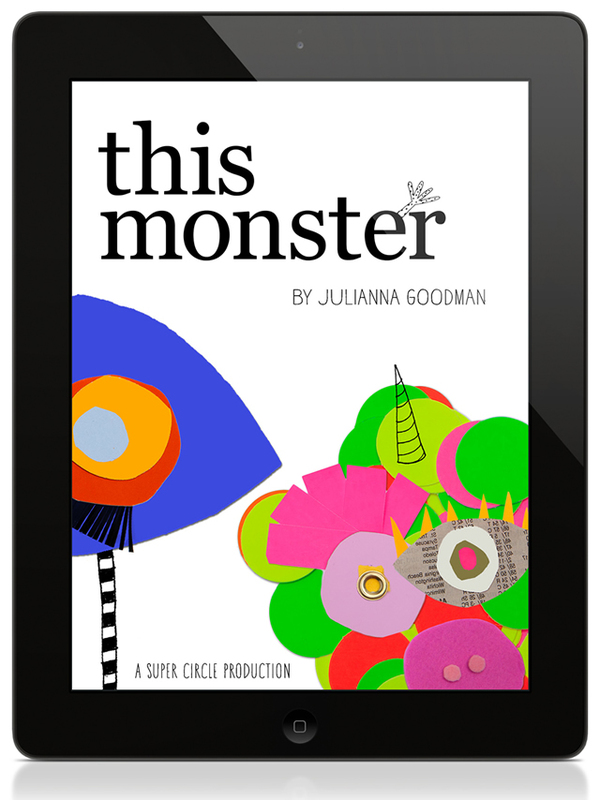 I would like to introduce Julianna Goodman, author of This Monster, an app that was highlighted by Apple, during several weeks. Kwiksher’s questions are in bold, to facilitate the reading. Feel free to send more questions to Julianna via comments below. I am sure she will appreciate. Enjoy! Tell us a little bit about you. Where are you based, for how long are you writing and illustration – in sum, what is your “story”? I am a designer / art director / illustrator living in Brooklyn, New York. 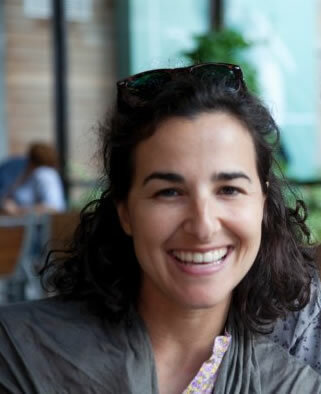 When I first moved to NYC I worked as a freelancer at the Museum of Modern Art, New York. I then moved on to be the Associate Web Art Director at Kate Spade New York. I left KSNY to become an independent consultant, wanted to make something for the kids’ market, and also have the flexibility to back and forth between NY and CA, where I am originally from. I began to survey the kids’ app market and found so many slick video-game-like apps, but very little that spoke to the tactile sensibility that I loved within the picture books of my youth. I wanted This Monster to become a digital tribute to that kind of picture book. 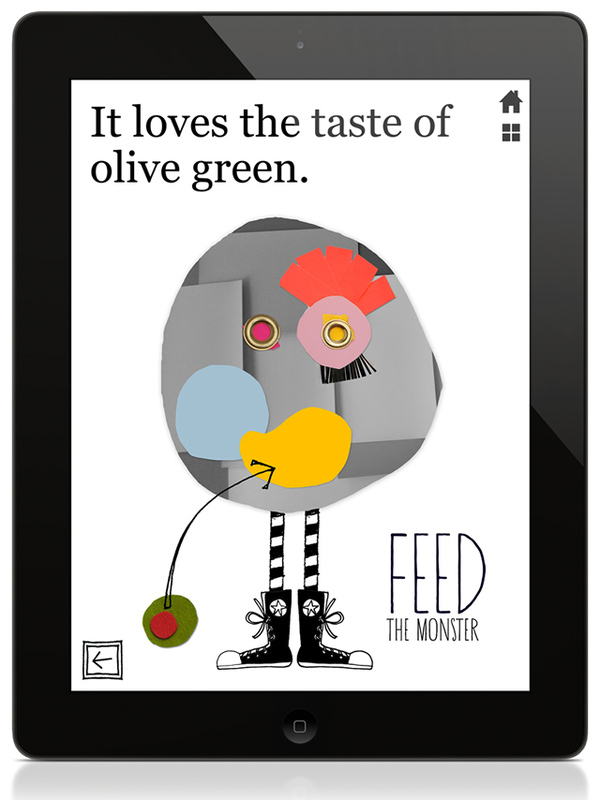 How did you enter the storybook app market? I literally jumped in! After several frustrating false starts with developers, I realized that the kind of product I wanted to make was a perfect fit for a tool like Kwiksher. When I had questions or reached stumbling blocks, Alex was available to answer questions and to help me push through. Thanks for your kind words. When was that and how did you find Kwik? Very positive overall. Alex answered some questions, and the forums helped troubleshoot as well. There were some initial bugs, but Alex was very proactive in responding to reports and fixing them and/or providing workarounds. Your app “This Monster” was very well received and was invited by Apple to be part of their “New and Notable” area in the iTunes App Store. Would you tell us a bit more about how it happened and the results (sales, attention, etc) you got from this opportunity? Apple contacted me via iTunes Connect while I was traveling to let me know about the recognition as New and Notable. I then had a just a few days to turn around artwork for the banner! The banner definitely provided a spike in sales as well as furthered inquiries / interest around the app. An article in Fast Co. about the app soon followed, which helped further interest as well. The app went through so many iterations, but as a graphic designer, this was the fun part for me. I created a mini beta-testing group to help me troubleshoot, and adjusted design based on the feedback I was receiving along the way. Perseverance, patience, and the willingness to ask questions. Also earmarking time to promote the app upon release. That might be just as important as actually creating it. There are a few potential avenues that I am currently exploring. Are you planning something new? Anything you can share now? I do have an idea for my next app / digital book. But unfortunately it’s a bit too early to share the direction. Stay tuned! Enjoy! It’s a very enabling tool for designers and illustrators with ideas and hopes of creating an app, and it’s getting better with each new version.